Indian River County Sheriff's Office arrest 2 people after passing counterfeit money to the Target store in Vero Beach. 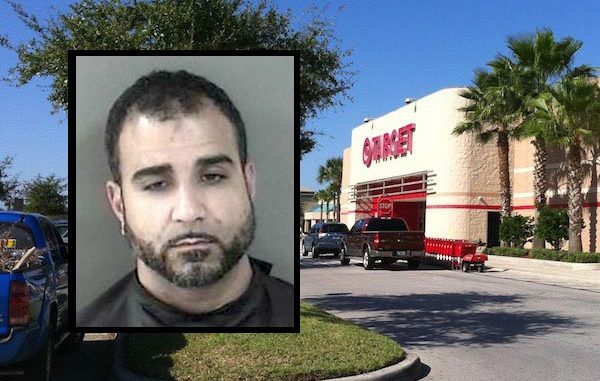 VERO BEACH – A suspect who allegedly works for the Orange County Sheriff’s Office was arrested for passing counterfeit bills at the Target store in Vero Beach. A Target asset protection officer called the Indian River County Sheriff’s Office to report someone passing counterfeit bills at the store. Vanessa Angel Rodriguez, whose identity has been concealed because she allegedly works for the Orange County Sheriff’s Office, was seen at two other Target stores in Melbourne, and one in Viera attempting to pass the counterfeit money. When the suspect entered the store in Vero Beach, the store’s asset protection officer recognized her from photos that were passed to other stores earlier in the day. As Rodriguez was attempting to purchase three boxes of Legos, she handed three $100 bills to the cashier. The bills were ran through Target’s counterfeit detection machine which every bill failed. Target notified the Indian River County Sheriff’s Office about the bills. A few moments later, Rodriguez abandoned the merchandise and exited the store. A deputy spotted the subject getting into a white car where she and the driver were detained. Rodriguez told law enforcement that she received the money from babysitting. The driver of the vehicle, Shedy Ibrahim, 32, said Rodriguez works for the Orange County Sheriff’s Office. He also said that he got the money from someone in Orlando and received $100 for every $400 he spends. Ibrahim was aware that the money was counterfeit. Rodriguez and Ibrahim were arrested and transported to the Indian River County Jail where they were charged with Felony Utter Forged Instrument, and Felony Utter Forged or Counterfeit Bill.